“Marsh Hawk” is now known as Northern Harrier; “Sparrow Hawk” is an American Kestrel. 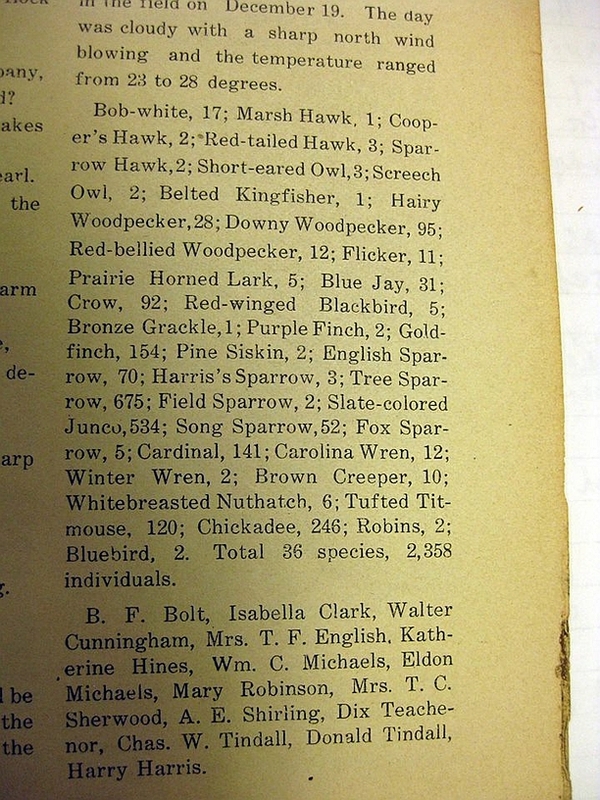 BAS History, Week 7: Here is a record of one of the first winter bird counts ever taken by our club–December 19, 1920. Some notable folks participated in this event! Albert Shirling had just published his book “The Birds of Swope Park” earlier that year. 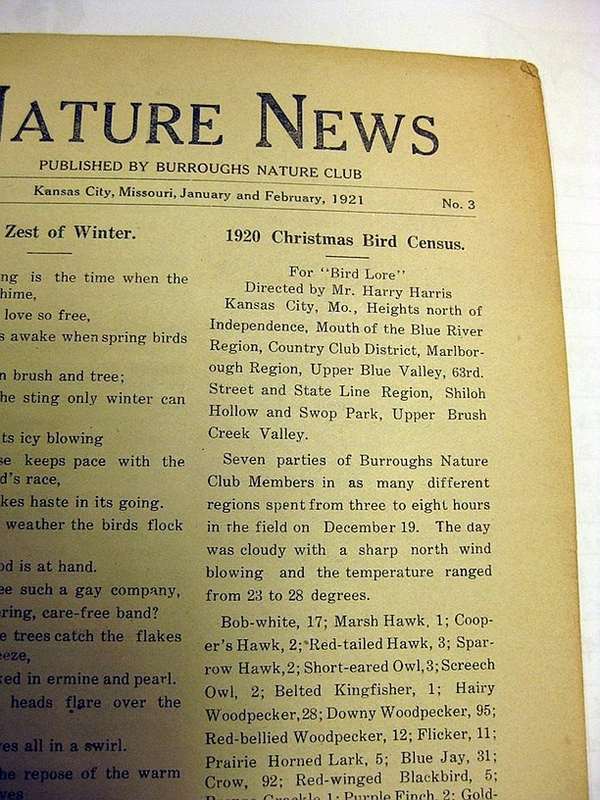 Harry Harris had published “Birds of the Kansas City Region” in 1919 (we still have an original copy in the BAS Library)–one of the first comprehensive descriptions of the bird life in this area. Mr. Harris later left KC for California and was renowned for his studies of the California Condor (no, he’s not the one for whom our Harris’s Sparrow is named!). Charles and Donald Tindall were well-respected amateur ornithologists. Not a bad year for Tree Sparrows, Juncos, and Song Sparrows! Lots of Hairy and Downy Woodpeckers, too. The journal mentioned here (Bird Lore) was a forerunner of today’s Audubon magazine. Seasonal bird reports and Christmas count results were archived there. Notice that Bobwhites were still present in and near the city, as well as a few Short-eared Owls and Horned Larks. And English Sparrows (House Sparrows) were, alas, already gaining a firm foothold!